If an advisor tells you that your aura is purple or violet at the moment, this is a good thing. For many belief systems, purple is the color of healing and cleansing, and its presence in a human aura indicates the soothing of pain in conscious and physical planes. You can even meditate on violet colors in order to trigger a deeper awareness since within many cultures purple hues are associated with the divine. Some say the quality of the aura is a factor in its interpretation. Is your aura clear and bright, or is it more muddled, faint, or dark? In either case, there are nuances that factor into your aura clarity. Each hue of purple has a different meaning. 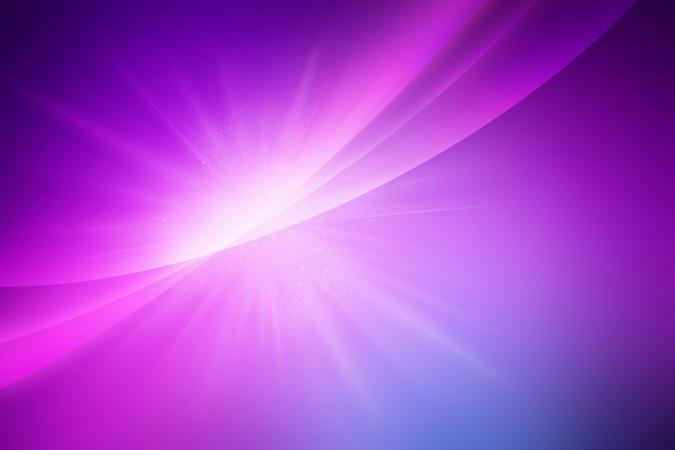 In the aura charts given by Edgar Cayce, a famous psychic, purple indicates healing. Clear purple: An aura radiating a clear purple indicates a balance between heart and mind. Violet: This is the color of the crown chakra, which relates to the pineal gland and nervous system. Most psychics have this value of purple in their auras. Artists often have this hue, as well. This indicates the person is in a good space spiritually and is close to experiencing a state of equilibrium and open awareness. This might not be indicative of your current emotional state, but it means that your spiritual nature is following a higher purpose and more balanced reasoning. Dark purple: This shade of purple can indicate a need to overcome an obstacle before achieving total balance. Indigo: This color reveals an intuitive person who feels things deeply. The color is related to the third eye that it is either open or beginning to open. Indigo is associated with the pituitary gland. Lavender: The color of a dreamer, lavender reveals a person who possesses an active imagination. All Auras and Chakras states lavender auras indicate a person who lives more on the astral plane than the physical one. This person lives in an inner world filled with all types of fantasies and mystical/magical beings. Purple is associated with the crown chakra or your conscious center. Used to communicate with your spiritual nature, the seventh chakra is associated with the top of the head, brain, and nervous system. It represents the part of your consciousness connected with a higher spiritual power, reaching upwards through your crown and into the heavens. Just like your root chakra represents your attachment to the mother Earth at your feet, your crown chakra represents your relationship to the "father" energy above. This chakra is often portrayed as a violet lotus flower opening upwards, indicating spiritual awakening. This can mean you are nearing a place where you are more open and understanding to spiritual matters. If your aura is a clear purple, it may mean your crown chakra is in alignment, and you are aware of your true self and oneness with the universe. Note that the color of your aura changes all the time. While it may be purple during one reading, it could easily change to blue or yellow immediately after. Aura reading is a very personal process, and the outcome depends on many factors. Interpretation can change depending on a person's passions, hobbies, health, likes, and dislikes. Keep in mind the person reading the aura may have his or her own set of individual interpretations or insights; not everyone will see the same meanings in the colors before them. It is possible to get two entirely different readings from two different people within five minutes of each other, so talk to your advisor in depth about what he or she is saying and how it relates to you and your life. In your aura, the color purple may carry any number of meanings depending on which line of thinking you follow. With this in mind, it is generally accepted that purple indicates a sense of knowing and oneness with the spiritual. An understanding that you are connected to everything around you can bring a sense of spiritual well being, a state that is most commonly associated with this aura color.